In an earlier article I told of Simeon Grisdale Senior and finished with his death in Crouch End, Islington in 1825, just weeks after he had been released from debtors’ prison. Here I want to tell of his son Simeon, ‘a most systematic rogue’, of his continual movements, changes of occupation, his repeated bigamy and his spells in jail. There are still some mysteries about his life and the fate of some of his children, plus I don’t even know exactly where and when he died, but I hope it’s still an interesting tale. He was a rogue indeed but I can’t help warming to him. As mentioned in my earler article titled Simeon Grisdale – bankruptcy and debtors’ prison, Simeon Grisdale Junior was born in Houghton in Hampshire in 1805. His father, Simeon Senior, was the village baker and chandler and the younger Simeon grew up in rural Hampshire with his younger sister Mary. Whether Simeon Senior’s wife Ruth and his two grown or almost grown children accompanied him to London isn’t known. Maybe they stayed in Hampshire. In any case the next we hear of young Simeon is in June 1830 when he married Ann Jearam in the next door Hampshire village of Broughton. Three children followed: Mary in 1834, William in 1836 (both born in Broughton) and then Simeon in 1839. Baby Simeon died the next year in Over Wallop, Hampshire. But the children were not christened in either of the Church of England churches in Houghton or Broughton, where the family were living. Instead they were baptized in the Wesleyan Methodist Chapel in the ancient city of Salisbury, Simeon being said to be a labourer. The theme of Wesleyan Methodism will reappear later. By 1841 the family had moved to Waight’s Terrace in Southampton and Simeon was a brewer. Perhaps the family stayed in Southampton during the 1840s, but in 1850 Simeon’s long career of bigamy starts. On 25 December 1850, while still married to Ann (she died in Clerkenwell, London in 1867), Simeon married Mary Ann Scott in Chelmsford in Essex, a long way from Hampshire. The circumstances leading to this marriage are, I’m afraid, lost forever, as indeed is Mary Ann Scott’s subsequent fate. I can find no trace of any of the family in the 1851 census, which is strange. Whatever the case, Simeon’s bigamous marriage to Mary Ann didn’t last long. Maybe she discovered he was already married? Maybe, though most unlikely, he went back to his family for a while. On Monday last a man, named Simeon Grisdale, was sentenced to three months imprisonment and hard labour, as a rogue and vagabond, under the following circumstances, detailed in evidence by Mr. Parsons, a grocer, of this town, to whom great praise is due for his promptness in bringing to justice a most systematic rogue. In August last the accused called called upon Mr. Parsons and passed himself off as a local preacher attached to the Wesleyan Methodist persuasion, who was deputed to collect contributions in aid of a fund for building a chapel at a place called Stanford, to which pretended object it appeared, by a collecting book which he presented, a great number of parties in various places had subscribed. Mr. Parsons contributed a sum, but having found out subsequently such particulars as left no doubt that he had been imposed on, he procured a search warrant, and with a constable proceed to Oxford, where he heard the man was, and forthwith apprehended him, when he directly confessed his guilt. At a house where he was living portions of books were found, by which it appeared that he had visited most towns in Berks, Oxon etc, and had drawn upon the public to the tune of £40 or £50, and to such purposes he had changed the locality of the pretended chapel from place to placer as circumstances rendered it necessary. The accused had no defense to make. Having most likely been released from prison in December 1851, Simeon, as we will see, arrived in Harefield in Middlesex to ‘open a school’. 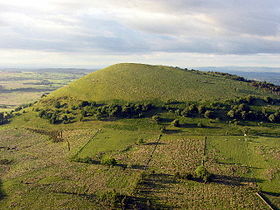 There he met Mary Ann Clarke, the daughter of Harefield carpenter Thomas Clarke and his wife Ann. In July of that year he married Mary Ann at the registrar’s office in Uxbridge in Middlesex. You have to say he got around. He stayed with this Mary Ann a bit longer. They had four children together: Margaret in 1855 in Hounslow, Middlesex, Benomi (?) in 1857 in Heston (a suburb of Hounslow), Ruth in 1859 in Speldhurst (Tunbridge Wells) in Kent and Simeon in 1859 in Meadvale in Redhill in Surrey. Son Simeon died aged only six weeks. We can imply that during all these years Simeon was trying his hand at running private schools, though continually moving from place to place. Certainly when he moved to Meadvale in Redhill in Surrey in 1858 or 1859 he and his wife did become schoolmaster and mistress! They are listed as such in the 1861 census. A far cry maybe from labouring, brewing, obtaining money under false pretenses and God knows what else. 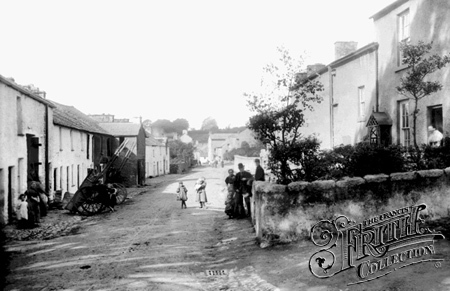 Meadvale was known in the 19th century as Meads Hole. The name means meadowland hollow. Here not only dwellings but also pottery businesses scattered over the common land — some kilns remain. The major hamlet had two butchers, a baker, a draper, a tailor and a grocer’s shop. The first school was held in the village hall with a fee of one penny a week for each child. At the beginning of the 19th century, there was a tanner’s yard adjoining Earlswood Common which was pasture, not park, at the southern entrance to Meadvale. Perhaps their school was ‘in the village hall’? Samuel Russell, alias Simeon Grisdale, a schoolmaster and a Wesleyan local preacher, was brought up Monday last before the Tunbridge bench of magistrates charged with marrying a female named Fanny Kingwood in April last, his former wife being then alive. Fanny Kingwood stated that in Apri, 1862, she was living at Reigate Heath, and the prisoner was living at Redhill, about three miles distant. She became acquainted with him by his coming to see her master for the purpose of soliciting subscriptions. She understood he was a single man, and went by the name of Samuel Russell. After several months’ courtship he induced her, on 5th April, to go to London with him, and the ceremony of marriage was gone through at York Street Chapel, Walworth. Ann Clarke, the wife of Thomas Clarke, carpenter of Harefield, Middlesex, said she had known the prisoner for ten years. 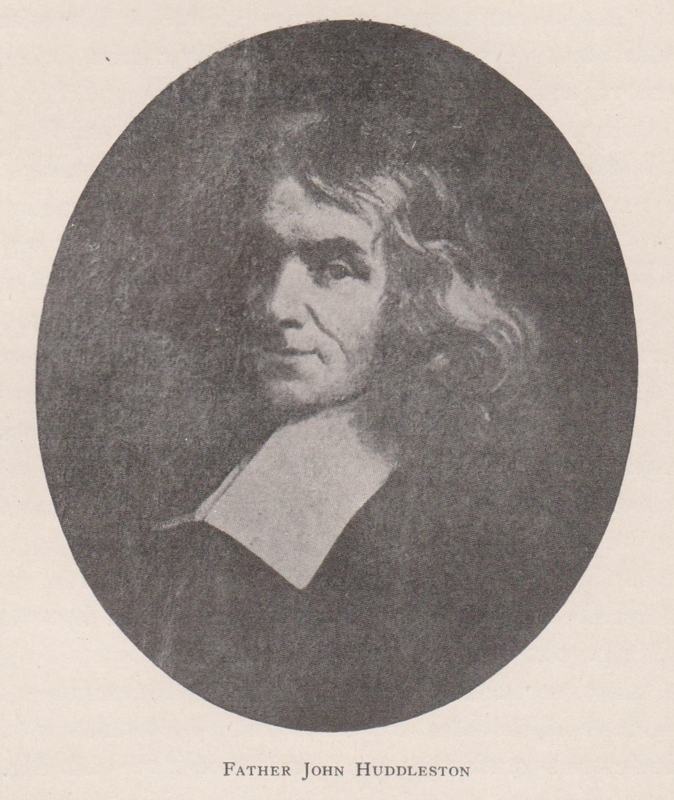 He went to Harfield and opened a school, and shortly afterwards became acquainted with her daughter, Mary Ann Clarke, to whom he was married at the registrar’s office at Uxbridge, nearly ten years ago. He was married in the name of Simneon Grisdale. Her daughter was still alive. The prisoner, on being cautioned in the usual way, said, “All that I have to say is, I am truly sorry for it.” He was committed for trial at the ensuing assizes at Maidstone. As we will see it’s doubtful that Simeon was ‘truly sorry’. In any case on 29 November 1862 Simeon was tried at Maidstone Court in Kent for bigamy and sentenced to four years imprisonment. Before I continue with Simeon, what became of his (legal) wife Ann and their children? Sometime in the 1850s they had moved to London. In 1861 wife Ann Grisdale (nee Jearam) was a Seamstress living at 36 Chapel Street in Clerkenwell. So too was her recently widowed young ‘Dress Maker’ daughter Mary Midson (nee Grisdale). Son William was nearby working as a ‘Pot Man’ i.e. a glass washer at the British Queen pub off Canonbury Square in Islington. Returning to bigamist Simeon Grisdale. If he completed his full four year sentence (probably in Maidstone Prison) he would have been free at the end of 1866. His first and legal wife Ann died in London in the first quarter of 1867. Did Simeon know? Did he care? We don’t know. We might also conclude that his marriage to Fanny Kingwood had been annulled on his conviction for bigamy. Whether he was still married to Mary Ann Clarke is not known. Yet on the 9 February 1867 Simeon married again in the Buckinghamshire village of Upton near Slough, this time his wife was widow Maria Compton (nee Stevens). Given the timing it’s quite likely this marriage was bigamous too. It does seem Simeon was a bit of a charmer and ladies’ man! He settled down with Maria and several stepchildren in Upton and he now became a greengrocer (and possibly a draper too). One son was born in 1868, who Simeon again called Simeon – third time lucky. This Simeon, who will be the subject of a subsequent article, survived, but Simeon’s marriage to Maria Compton didn’t. By 1871 the family had moved to Acton in Middlesex (now part of London), but they weren’t living together. Simeon is listed in the 1871 census as a greengrocer living at 5 Windmill Terrace on Turnpike Road with his young son Simeon. His wife Maria was living at 4 prospect Terrace on Park Road, working as a laundress, with three of her Compton children plus son Simeon Grisdale – he was recorded twice, both with his father and mother! But Simeon couldn’t do without a wife. Oh no, he had to marry again, and again bigamously. On 30 November 1873 he married Margaret Mary Downie in Christ Church, in the south London area of Southwark. And here the ‘most systematic rogue’ Simeon Grisdale simply disappears. I can find no trace of his death. In 1881 the wife Maria was still in London but said she was a widow, so I guess Simeon died sometime in the 1870s after a full life indeed: from labourer to brewer to schoolmaster, to prisoner to greengrocer; with six wives and multiple bigamies behind him! Later I will tell of Simeon Grisdale the third, who became a soldier, went to Ireland then to the North West Frontier in India and, well into his forties, fought in the First World War. In the late 1830s and early 1840s three young brothers attended school together in what would become, but wasn’t yet, the Canadian city of Winnipeg. They were pupils at the Red River Academy, the first school established in the Red River Settlement, an area of Manitoba where Lord Selkirk had established English and Scottish farmers. These settlers in the Red River area weren’t however the first people there. The indigenous peoples, mostly of the Cree and Ojibway tribes, had been there for a long time. There were also the Métis, people of mixed race – French/Indian or British/Indian – who mostly worked for the Hudson’s Bay Company in the fur trade. It was for the children of these people that the Red River Academy was started. On land granted by Selkirk to his settlers for religious and educational purposes the Reverend John West of the Church of England founded in 1820 the church of St. John. This was located about two miles below the Forks on the west bank of the Red. The mission gave rise to the Red River Academy, later St. John’s College. It was established for the training of a native ministry and for the education of the sons of Hudson’s Bay Company employees. The three brothers were called Thomas, John and William Bunn. They were the only children of the Métis, or ‘half-breed’, couple Dr John Bunn and Catherine Thomas, who at the time lived in the small Red River Settlement of St. Paul, known as Middlechurch. Catherine’s father was Welsh but her mother Sarah was a Cree Indian. Dr John Bunn’s father was English, but his mother Sarah McNab was a Scottish/Indian Métis. All the boys’ family were or had been employees in one capacity or another of the Hudson’s Bay Company. Dr John Bunn was the first native-born doctor to practice medicine in the Red River Settlement. His English-born father Thomas was employed as a writer by the Hudson’s Bay Company at the company’s York Factory (trading post) in Manitoba. With no real taste for a nomadic existence, Bunn in 1824 left the HBC service and moved to the Red River Settlement to begin a private medical practice. Here, in the vicinity of Middlechurch, he lived with his father who had retired two years earlier. Here too, on 23 July 1829, he married Catherine Thomas, the daughter of his father’s close friend Thomas Thomas, a former governor of the Northern Department. Because of his family connections and his professional status, Bunn was able to move easily in the influential circles of Red River society. A witty, good-natured, and vigorous man, with a dark complexion and a handsome bearing, Bunn the doctor was as popular with the HBC establishment as he was with the half-caste population of the settlement. Feeling the need to upgrade his qualifications, Bunn again attended the University of Edinburgh during the 1831–32 academic session, and returned to Red River in 1832 not with a degree but as a licentiate of the Royal College of Surgeons at Edinburgh. He was happy to come home to his wife Catherine who had cheered him with her affectionate letters while he was abroad. A little over a year after his return, on 3 Jan. 1834, came her death, and he never remarried. He and his three small boys… continued to live comfortably in his father’s household which was ably managed by his halfbreed stepmother Phoebe Sinclair Bunn. With the lack of European women it was fairly common, in fact usual, for English and Scottish employees of the Hudson’s Bay Company in the remote west of British North America to take native Indian wives, marriages often entered into via a native ritual and thus not recognised by the Church of England. The same was true, and for a much longer period, of the French fur trappers, voyageurs and traders. There is much more to tell about this fascinating man, but our concern here is with his sons. When the three boys were pupils at the Red River Academy the headmaster was John Macallum who came to Red River in 1833 as a schoolteacher, working at £100 per annum at the academy. In 1836, having married one of his mixed-blood students, he became headmaster in 1838 and having initially leased the buildings from the HBC, which owned the property, he eventually purchased the school for £350 in 1841. Under Macallum’s guidance it (the school) maintained a high level of excellence. During his tenure courses were offered in Greek, Latin, geography, Bible study, history, algebra, writing, and elocution. It was later said that Macallum’s school ‘prepared a goodly number of postmasters, clerks and future chief traders and chief factors’ for the HBC and that he was a ‘conscientious and faithful worker”, but who ‘perhaps over-estimated the use of the rod’. He was in fact ‘a strict disciplinarian, with a strong sense of morality’. Despite his own marriage to a mixed blood girl, if Indian or mixed-blood mothers were not formally married he refused to allow them to visit their children at the school. One contemporary commented on this policy as being ‘fearfully cruel for the poor unfortunate mothers did not know that there was any distinction’. Macallum was also ‘an exponent of corporal punishment, he employed a rod more than three feet long’. Such was the school life of the three Bunn brothers. Their mother would likely have not been allowed to visit them if she had lived; unfortunately she had died in 1834 when the boys were still very young. The third and youngest brother, William, died in 1847, aged just fourteen. Thomas was the oldest son; he was born in St Paul in 1830 and was to go on to great things. Second son John, who was born in 1832, never achieved any fame, but it was one of his daughters who would marry into the family of the Bolton-born future Bishop of Qu’Appelle John Grisdale. In 1869 Louis Riel had begun to organize resistance to the transfer of the North-West to the dominion of Canada without prearranged terms. 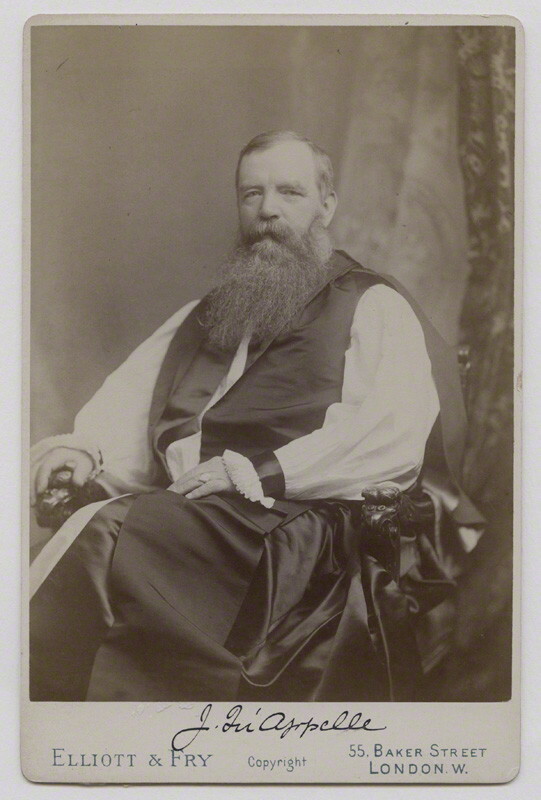 Bunn was elected a representative from St Clements to the council of English and French parishes convened on 16 Nov. 1869 to draw up terms for entry. He hoped for a united front to negotiate these terms of union with Canada. Most English settlers, however, were disposed to think that Canada would be just, and if it were not, that Great Britain would ensure a fair settlement. Many English were willing to support Riel’s policy of union through negotiation, not so much because they thought negotiation was necessary, but because they hoped thus to preserve peace in the Red River Settlement. Bunn tried indeed to pursue an intermediate position, and the strains were sometimes great. By accepting Riel’s policy, Bunn, in a sense, made himself Riel’s English half-breed lieutenant, despite the fact that there was no bond between the men. On 19 and 20 Jan. 1870, a mass open-air meeting was held to hear Donald Alexander Smith, commissioner of the Canadian government. Bunn was chairman of the discussion. It was decided that a convention should be held to prepare terms for negotiations with Canada, and that delegates should be elected. Bunn was one of those appointed to a committee to arrange the elections. He himself became a delegate from St Clements. From 27 January to 3 February, the convention prepared a second list of rights and approved the formation of a provisional government. Riel made Bunn secretary of state in the provisional government. On 24 August the military forces of the crown under Colonel Garnet Joseph Wolseley reached Upper Fort Garry (Winnipeg) and the provisional government was swept from power. Bunn survived its fall and may have been present at a meeting of the Council of Assiniboia which Wolseley revived in an attempt to settle the situation. Indeed, Bunn continued as usual in Red River society and set out to establish himself in the new order. As a man of some education and a fluent speaker with a judicious cast of mind, he decided to go into law. He was called to the bar of the new province of Manitoba in 1871, and was clerk to the First General Quarterly Court held in the new province on 16 May 1871. St Clements returned him as its first member to the provincial Legislative Assembly on 30 Dec. 1870. Thus Bunn’s career decidedly bridged the way from the old order to the new. His early death in 1875 cut short his passage into it. During all this time that Thomas Bunn was becoming a prominent local politician and being involved in events that shaped the history of Canada, his brother John was pursuing a much more humdrum career as a ‘clerk’ with the Hudson’s Bay Company – exactly the sort of role that the Red River Academy had been founded to prepare such Métis children of the company’s employees for. But John didn’t enter the service of the HBC until 1867 when he was 35. What he did before that is unknown. All we know was that he married Jemima Clouston in St Paul in 1859 in his home settlement of St. Paul. Jemima was the sister of Isabella, John’s brother Thomas’ wife. Eight children were to follow, the first few born in St. Paul, the reminder at the various HBC trading posts John was posted to. Between 1867 and 1878, John was a HBC clerk in three factories or trading posts in the remote and wild west of the country: Lac Ste. Anne, Fort Victory and Bow Fort. In 1878 he retired back in the Red River Settlement and ‘died after a brief illness that year’. His wife Jemima was to live until 1888. It is with his daughter Annie Bunn that we are concerned with here. Annie was born in 1866 in St. Paul in the Red River Settlement but, as we have seen, she spent most of her childhood living with her family in various remote HBC factories. In her 1885 ’Declaration concerning her claim to participate in any grant to Half Breeds living in the North West Territories’, she stated, ‘I lived with my parents in the north West Territories from 1867 to 1877’. I will return to this declaration later. Following her father’s death, Annie continued to live in St Paul’s with her mother and siblings. In 1891 we find her living with her sister Isabell and brother William in the growing city of Winnipeg. It was probably in Winnipeg that Annie met her future husband Joseph Grisdale. Here we have to leave the Métis world of the Red River Settlement and go back a little to the grim world of the Lancashire cotton mills in England. I have previously written three pieces about a Bolton cotton bleacher called John Grisdale who was first a missionary in India before coming to Manitoba in 1873, and who eventually was to become the Anglican Bishop of Qu’Appelle. (See here, here and here). During one of his many trips back to England in 1882/3 John discussed Canada with his brother Joseph, who was at that time a ‘railway clerk’ in Bolton. When John returned to Canada in 1883 his brother Joseph came with him. At first Joseph lived with his brother John in Winnipeg. In 1883 John was a canon of St. John’s Cathedral in Winnipeg and a Professor of Theology at St. John’s College (the successor to the Red River Academy). But in 1894 he had been appointed dean of Rupert’s Land. In 1891 we find Joseph living with his brother and his family in comfortable circumstances in Winnipeg. No doubt with his brother’s help Joseph was now a ‘Bank Manager’. And so it was that in some way at some time bank manager Joseph Grisdale met and fell in love with Annie Bunn. They married in Winnipeg in 1893. We can only wonder if Dean Grisdale officiated at their wedding. Initially the family stayed in Winnipeg and had two children there: Percy John Grisdale in 1896 and Eveleigh Grisdale in 1899. In the 1901 census Joseph and his family are still in Winnipeg and Joseph is said to be an ‘accountant’. But sometime prior to 1904 the family moved north up the Red River to Selkirk where two more children were born: twins Edwin and Roland in 1904. The family continued to live in Selkirk until sometime after 1911, Joseph still being a bank manager. But they soon moved on, to Calgary in Alberta. In the 1916 census we find the family living in Calgary with Joseph listed as a ‘bookkeeper’. Son Percy is listed too, but he is said to have been overseas. You can read his story here. Eventually, sometime after 1921, Joseph took his family to Vancouver, where he died in 1950. I don’t know where and when Annie Bunn Grisdale died. Today near Bakersfield in Kern County, California there is a large Grisedale cattle ranching family at the Granite Station Ranch. The E in the family name was added after the family first arrived in America in 1908. Back in Westmorland, England, from where they came, they were just Grisdales. Before I tell the story of the family’s trek from a wet sheep farm in the Lake District hills to the sun of California let me start with a very strange coincidence. On 5th June 1917 two young Grisdale men registered to join the US Army in Bakersfield in Kern County, volunteering for service in the First World War. One was 28 year-old Frank Joseph Grisdale and the other was a 24 year-old called Robert Thornber Grisedale (whose younger brother Francis Thomas had registered just four days before). Although it is unlikely that they met that day, they may have later in or around Bakersfield where they both lived for the rest of their lives. If they did ever meet they might have wondered if they were related given the unusual nature of their name, unusual at least in California at that time. Of course they were related, but they would have to go back to the seventeenth century in Matterdale before their families would have known each other and back to 1600 or earlier to Dowthwaite Head Farm in Matterdale before their two ancestral lines joined. Frank Joseph’s family had first come to Canada from Cumberland in 1816/17. The instigator of the move was Wilfred Grisdale, who I have written about before (see here). Part of his family subsequently moved to Deerfield in Isabella County in Michigan in 1877 (see here) where Wilfred’s great grandson Frank Joseph was born in 1888. Sometime prior to 1910 Frank had been drawn out West, probably hearing of the opportunities in the recently booming oil industry in Kern County. Until his death in 1952 in Bakersfield Frank worked as an oil well digger in Kern County, principally in the Kern River Oil Field. I will tell his story at a later date. Robert Thornber Gris(e)dale was the first son Thomas William Grisdale, a moderately well-to-do sheep farmer in Longsleddale, north of Kendal in Westmorland. Thomas William was born on his father’s Yoad Pot farm in Selside, Westmorland in 1859. 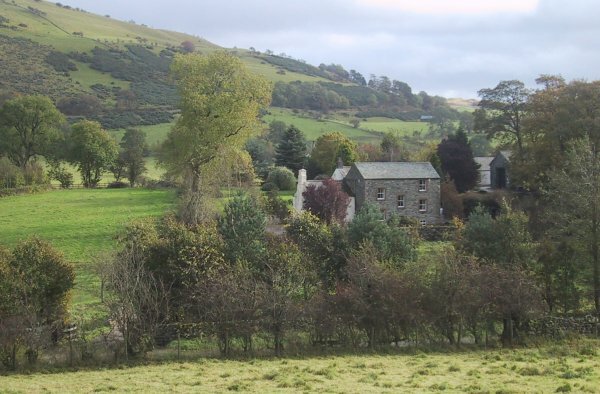 In 1892 he married Agnes Thornber, the daughter of Kendal accountant and real estate agent Francis John Thornber and taken on his own farm called Well Foot in Longsleddale. Robert Thornber was born there the next year – being named after his farmer grandfather Robert Grisdale and his mother’s maiden name – followed in 1895 by Francis Thomas, named after his mother’s father, Francis Thornber, and his own father Thomas. I told something of the earlier history of the family in a story about a Robert Edward Grisdale, the son of Thomas William’s brother Richard, who emigrated to Canada (see here). I also wrote about the family a little further back in Matterdale and then in nearby Martindale, Patterdale and Hartsop (see here). There are other related stories on this site, including a murderous one here. Returning to Thomas William, although he was a successful tenant farmer he couldn’t buy his farm and ‘every time he made any money the landlord would increse the rent’. ‘So after this happened three times they (the family) left for the US where they could buy and own the and they farmed.’ On 6 May 1908 the family boarded the passenger ship RMS Etruria in Liverpool bound for New York, where they arrived nine days later. 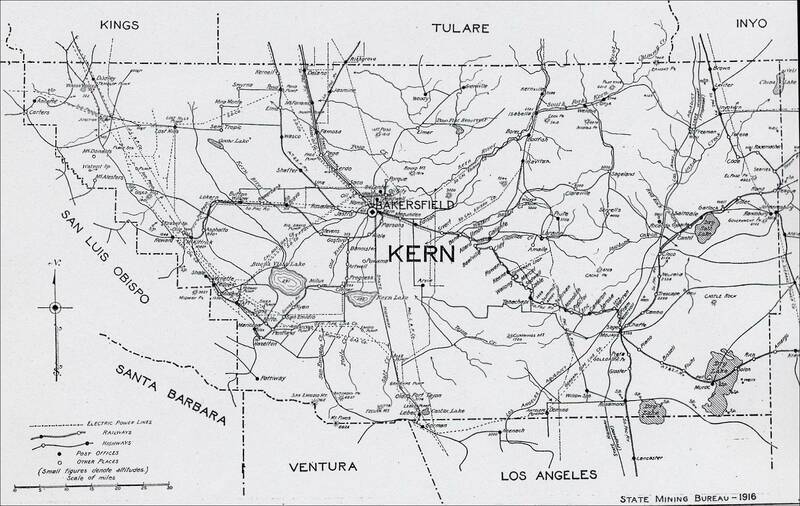 They gave their ultimate destination as ‘Kern City’ California. Being ‘sponsored’ immigrants they didn’t have to go through Ellis Island.They most likely went to join Agnes Thornber’s younger brother and sister, James Henry Thornber and Elizabeth Thornber, who had emigrated to Montana in 1892. In fact another brother called John Peters Thornber had made the move first, in 1890, ending up in Madison, Iowa. JAMES H. THORNBER.— The Thornber family descends from Anglo- Saxon ancestry and for generations has been represented in Westmoreland in the north of England, where Francis Joseph and Elizabeth (Peters) Thornber passed their entire lives, the former being engaged as an accountant. The parental family comprised six sons and six daughters and the eighth in order of birth, James H., was born in the village of Kendal, July 3, 1875. Two sons and two daughters are still living and all of them have come to America, the older son, John P., being a resident of Bartlesville, Okla., while the two daughters. Mrs. Agnes Grisdale and Mrs. Elizabeth Marriott, make their home in Kern county, Cal., the headquarters also of the fourth member of the family, James H. The last-named attended the Kendal grammar school in Westmoreland, and later was a student in the Friends’ school at the same place. After he was graduated at the age of fifteen years he was employed in the village until 1892, when he crossed the ocean to the United States and proceeded west to Montana. Securing employment on a ranch near Chinook he soon learned the business of operating a stock farm on the plains. Later he became interested in operating the Black Coulee coal mine, besides which he also engaged in general contracting. Upon selling some of his interests in Montana in October (actually May) of 1908 Mr. Thornber came to Bakersfield. Shortly afterward he purchased one hundred and twenty acres of land in the Weed Patch. The task of transforming the raw acreage into a productive farm was one of great difficulty, but the land was rich and fertile and ultimately produced fruit and alfalfa in paying quantities. Since 1909 he has made his home in East Bakersfield, where he owns a residence at No. 1601 Pacific street. Besides having a real-estate and insurance office at No. 919 Baker Street, he is engaged in the building of cottages and bungalows and these interests, together with the supervision of his Montana ranch, which he still owns, keep him busily occupied. Ever since he came to this city Mr. Thornber has been connected with the Chesbro Methodist Episcopal Church of East Bakersfield, where at this writing he officiates as president of the board of trustees and president of the adult bible class. With the cooperation of the pastor of this church he organized a Sunday-school at Toltec No. 2 and since then he not only has acted as superintendent, but in addition he has given exceptionally faithful and efficient service in the capacity of local preacher. Being deeply interested in the religious life of the oil fields, he gives freely of his time, ability and means to promote the cause of Christianity in that particular portion to which he has been called. While living in Montana he was married at Chinook, September 23, 1900, to Miss Alice Greenough, a native of Mechanicsburg, Ohio, and a daughter of the late John K. and Minnie (Currier) Greenough, the former born in Concord, N. H., of Mayflower stock, and the latter a descendant of Scotch forbears. In 1886 the family removed to Chanute, Kans., where Mrs. Thornber was reared and educated, remaining there until 1899. In that year the family located in Chinook, Mont., where the marriage of the young people occurred. Interested in social functions and active in church work, Mrs. Thornber’s deepest affections, however, are centered upon her four children, Chester Harve, Grace Elizabeth, Agnes Myrtle and Alice Celia. Fraternally Mr. Thornber belongs to the Modern Woodmen of America and Bakersfield Lodge No. 224, F. & A. M., also with his wife is identified with Bakersfield Chapter No. 25, Order of the Eastern Star. Actually James Thornber came to Kern County in May 1908, not October, the same month that the Grisdales were on their way to New York. Obviously the move had been planned in advance. In fact Elizabeth Thornber, having married farmer Edward Allen Marriott in Chinook, Montana in 1899, moved to Bakersfield in Kern County before 1907, so maybe it was her who first attracted her brother and sister and their families to come to California. It is interesting to note that James Thornber having tried his hand at cattle ranching in Montana, and having bought a farm outside Bakersfield, soon abandoned farming and became what his obituary in 1959 called a ‘pioneer realtor’, just like his real estate agent and accountant father back in Kendal in Westmorland. Jut before leaving England Thomas William Grisdale had sent a lot of money to a local Bakersfield bank for later use to buy land. But when he arrived he found that the bank had misspelt his name as Grisedale and thus Thomas decided it was easier to continue with the misspelling ‘on the account – and everywhere else – rather than to have the bank change the name on an account that was already open’. It seems highly likely that when Thomas William Grisdale (or Grisedale as he now was) and his family arrived in Kern County it was they who took on the difficult ‘task of transforming the raw acreage (of James Thornber’s farm in Weedpatch) into a productive farm’ and who ‘ultimately produced fruit and alfalfa in paying quantities’. In the 1910 census Thomas William and his family are living in precisely the Weed Patch area and Thomas was said to be a farmer on a ‘general farm’. Weed Patch, just southeast of Bakersfield, was to have a sad history in the Dust Bowl era in the 1930s and even featured in John Steinbeck’s novel ‘The Grapes of Wrath’. I’m not sure how long Thomas William continued to farm at Weed Patch; in 1917 when both his sons enlisted in the army his first son Robert Thornber Grisedale was working as a ‘farmer’ on Roland Hill’s cattle station in nearby Tehachapi, while his younger son Francis Thomas was a farmhand working for his father. As both brothers registered for the army in the Vineland precinct of Kern County, which is right next to Weedpatch, and gave their address as East Bakersfield, I presume their father was still farming there. This seems confirmed by the many entries for ‘T W Greisdale’ in the Bakersfield City directory as living on Route 4 well into the 1920s, this road led through Weedpatch – unfortunately I can’t find him in the 1920 census. I’m not certain whether all this is actually as it was. The family say that once Robert Thornber Grisedale went to introduce himself to his Thornber relative in Bakersfield ‘but found him not at all interesting in associating’. Sadly while serving in the US Army (L Company, 364th Infantry, 91st Division) in France, Francis Thomas was killed on 4 October 1918, the very day that the German government sent a message to US President Wilson to negotiate terms on the basis of a recent speech of his and the earlier declared ‘Fouteen Poimts’; Francis was sitting under a tree when hit by a shell. Initially buried in France, his body was returned to Bakersfield in 1921. I don’t think Robert ever joined the army as later on he said he was not a veteran. Before 1930 Thomas William and Agnes Grisdale had retired to Bakersfield and were living at 118 Douglas Street in Highland Park. Agnes died the same year aged 68 and Thomas the next, aged 72. Turning now to the only surviving son, Robert Thornber Grisedale; in 1920 he was still in Tehachapi but by now was working in the local oil industry as a ‘Wagon Driver’ for a ‘Wholesale Gas and Oil Station’ having married Michigan girl Eva May Weller the previous year. The couple had a child, Francis Robert, in 1921 but he died the next year. The next child, Grant Edward Grisedale, was born in Bakersfield in 1925 but grew up ‘on his parent’s cattle ranch’. Two more children followed: Frank Weller in 1929 and Mona Jean in 1930. I presume Robert bought his cattle ranch, called the Granite Station Ranch, between 1925 and 1930 when the family were already living there and where their descendants still breed cattle. Perhaps one day one of the family will tell me? The ranch is north east of Bakersfield on Granite Road near Glenville. Westmorland-born Robert Thornber Grisdale died aged 92 in 1986. His son Grant Edward Grisedale, who returned to the ranch in 1958 and eventually took over its management, died in 2010 aged 85. I won’t presume to tell anything more of the family’s recent history – that’s for them. The plague, along with starvation and repression, has been the perennial lot of the English people, as indeed of so many others. Cumberland was no exception. Here plagues have struck from time to time from at least the thirteenth century. A hundred years after the above English Liturgy was written the plague came once again to Cumberland and wiped out dozens if not hundreds of families. One of these was a Grisdale family in the small Cumberland market and industrial town of Keswick. 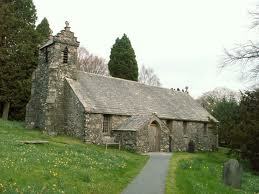 On the 5th of February 1620, Thomas Grisdale married Alice Birkett of Seathwaite in St. Kentigern’s Church in Keswick. With one (perhaps relevant) exception this is the first mention of a member of the Grisdale family in Keswick. Over the next twenty-five years with two wives Thomas had nine children, some died young but many survived. What had brought Thomas to Keswick? And where had he come from? As to the reason that Thomas came to Keswick, there is I believe only one explanation. The only reason for someone to come to the town of Keswick at this time was to work in the German-run copper smelter situated at Brigham in Keswick. In an earlier article I showed how German miners had been brought over by Queen Elizabeth, and how the industry had developed (see here). 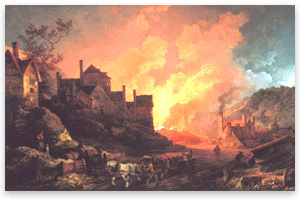 Once the mines and the smelters were fully up and running in 1569, we find a certain John Grysdall mentioned twice. In the August 1569 accounts – the Germans did accounts seven times a year- John is listed as a ‘peat carrier’. He received payment for delivering 3 hundred (loads) of peat from ‘Flasco’ (present-day Flaska near Troutbeck in the north of Matterdale parish) to the copper smelter at Keswick. He did the same again later in the year. And in 1571 an Edward Gristal (Grisdale) of Threlkeld was also paid as a peat carrier for deliveries from Flasco. I believe Thomas either worked in the Brigham copper smelter or worked for the German miners in another way. As to my second question: Where had Thomas come from? There can really be no doubt. Thomas married in 1620 and thus was most probably born in the 1590s. At this time, and for a while thereafter, there are no Grisdales recorded anywhere else but Matterdale, and the majority of those lived in Dowthwaite Head. We have already seen that there were two Grisdales lugging peat to Keswick shortly after the Germans started copper mining and smelting, thus Thomas too descended from the Matterdale Grisdales – even if (as might just be the case) he was related to Edward Grisdale, the 1571 peat carrier of Threlkeld. 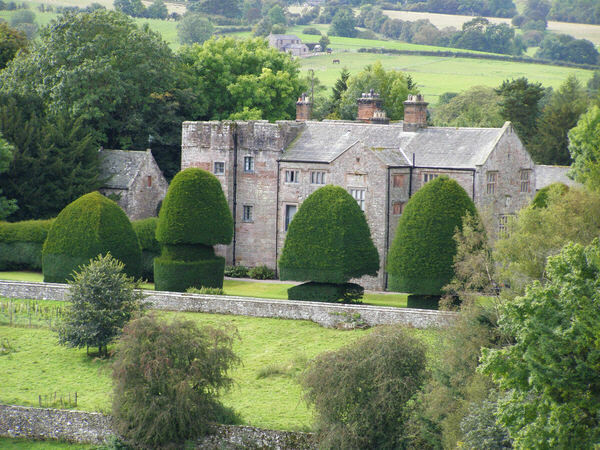 In the vast majority of cases the sixteenth-century Grisdales are listed as living in Dowthwaite Head. Clearly this was where the family had originally settled (see here). 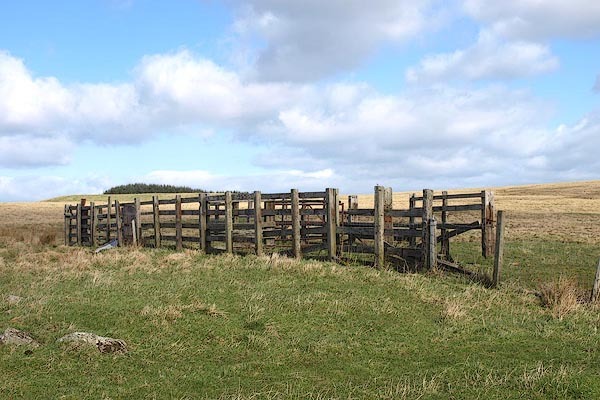 Around the time that John and Edward Grysdall were lugging peat on their packhorses from Flasco to the smelters at Keswick, we find Robert, two Christophers, Edward, Thomas, Richard and two John Grisdales, all with two exceptions living at Dowthwaite Head. Finally, in 1581 the Cumberland militia was called out yet again in the face of the never-ending threat of Scottish raids. At the Penrith Muster on that year nine Matterdale ‘bowmen’ of military age turned out: John, William, Christopher, Robert, Edward, Richard and three named Thomas. I think it highly likely that our Thomas Grisdale of Keswick was either a son (or possibly a grandson) of one of these nine Matterdale bowmen. We left Thomas marrying Alice Birkett in early 1620. Six children followed, all baptized in Keswick church: Susanna 1621 (died the same year), Jayne 1625 (died the next year), Alice 1628, Edward 1631, Robert 1632 and Ann 1638.It seems that then Thomas’s wife Alice died, because on 24 July 1638 Thomas married again, this time to Ann Hayton of Abbeyholme. Four more children were born to Thomas and Ann: Joyce 1639, Edward 1641, Thomas 1643 and Jayne 1645. From this we can imply that as well as Susanna and Jayne (from Thomas earlier marriage to Alice) who had died as babies, son Edward (1631) had in the meantime died as well. This just left six children: Alice, Robert, Ann, Thomas and Joyce and Jane. I mentioned that Thomas’s wedding in 1620 was the first mention of a Grisdale in Keswick, except for one. On 14 January, 1620 just three months before Thomas married Alice, there is a record of a Jenet Grisdale being baptized in Keswick church, the daughter of ‘Thomas Grisdale of Keswick’ and his wife Jennett. It is of course possible that Jenet’s mother Jennett died in child birth and, if we are dealing with the same Thomas, he very quickly remarried Alice. As we will see it is sure that daughter Jenet survived. It may be sufficient to remark that among the various nationalities of antiquity and in the middle ages the word plague was used in its collective sense, and included the most various diseases that occurred in epidemic form, ran an acute course, and showed a heavy mortality. Some of these visitations have no doubt been visitations of the true oriental plague, a disease characterized by inflammatory boils and tumours of the glands, such as break out in no other febrile disease. On other occasions it may have been the sweating sickness…. It is probable also that smallpox and typhus formed some of the epidemics and were included under the head of plague. Plague ravaged Carlisle in 1645, spread to Keswick in 1646, Cockermouth in 1647, and St. Bees in 1650. This seems to have been the same epidemic, although it took four years to cross Cumberland. The number of burials increased dramatically in May (1646) and continued high through September – the usual plague season. Of the 93 persons dying between May 14, the beginning of the epidemic, and July 28, 80 came from Keswick, 11 from “Estenbec” (nearby in Crosthwaite), and the homes of two others were not shown. The striking characteristic of all the dead who can be geographically placed in no more than two communities indicates that the disease did not spread into the rural parts of the parish. Most of the parish was spared in 1646, in contrast to 1597 and 1623. This means that at least three and possibly four of the seven remaining children of Thomas Grisdale died in the plague in just a few days. Also one of the two Thomas Grisdales who died was obviously Thomas himself. The Grisdale family of Keswick had been completely wiped out. 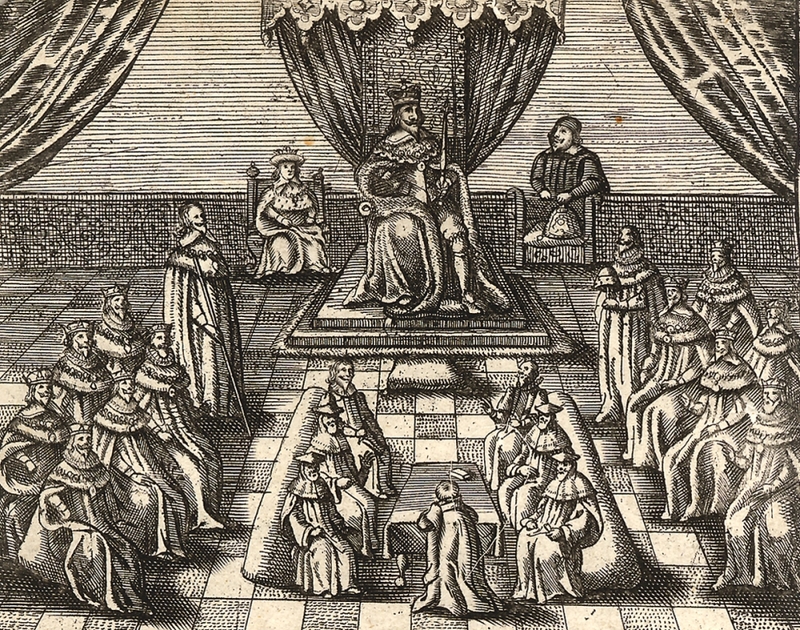 It’s most probable that the Alice who died was Thomas’s 18 year-old daughter, which would imply that mother Alice either survived or had died in childbirth in 1645. (See comment below for more information of the survivors) Unfortunately as most of them died there is no testament of any sort to the destruction of this poor family, with of course the exception of the parish records. In place of such a testament I’d like to quote a Rector called Robert Lenthall whose family died of plague in 1647 in the village of Great Hampden. Below is what he wrote. I’ve left the spelling unchanged and not replaced the ‘YE’s and ‘YT’s by THE and THAT. Contrary to popular belief people never said YE (as in ‘Ye Old Pub’), the Y was just a letter signifying the sound TH. It is more than 300 years since this simple yet moving lament was written in the bitterness of his grief and loneliness by a man bereft by bubonic plague of wife, children, and kinsman within the space of one month. Because they were the victims of that dreaded disease he dared not bury them in consecrated ground and erect a monument over their resting place; but he has given his loved ones a more lasting memorial, one that will endure as long as the printed word is read and long after the costliest gravestone has crumbled to dust.